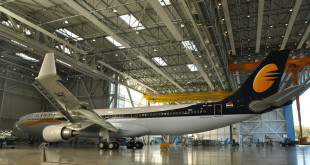 Home >> Analysis and Features >> Why is the Jet Airways stake sale not receiving any expressions of interest? The first day of release of the Expression of Interest (EOI) document for the sale of Jet Airways (download here) failed to see any formal response. Inspite of tomorrow being the deadline for submission investor interest has been tepid at best. We feel there are some key reasons for this lack of interest. Any investors values the business and evaluates how this value is enhanced to realise an acceptable return on their investment. This is done in many ways, usually involving some combination of increasing sales, reducing costs, and revisiting strategy. Once this is done they also evaluate integration or exit options and a timeline for this. In the case of Jet Airways, thanks to unstable cash flows, the very valuation of the company is questionable. A review of the net income for the last five years shows extreme swings. If this wasn’t challenging enough, there is also no certainty on the price. The price can only be determined after one has a reasonable idea of the value of the business which only comes at a later stage once all data is made available to the selected bidder. Regardless of that data provided an investor should be able to make back of the envelope calculations to indicate a price range. The on-going uncertainties, thanks to the ruling of the Indian Supreme Court, SEBI’s reluctance to grant waivers to the open offer requirement, this range may fluctuate wildly. In this case both aspects of price and value lack clarity. The issue of management control continues to plague Jet Airways. Any investor wants full control to effectively execute decisions. This is one of the key reasons Etihad Airways PJSC was also holding out. (Read more here). 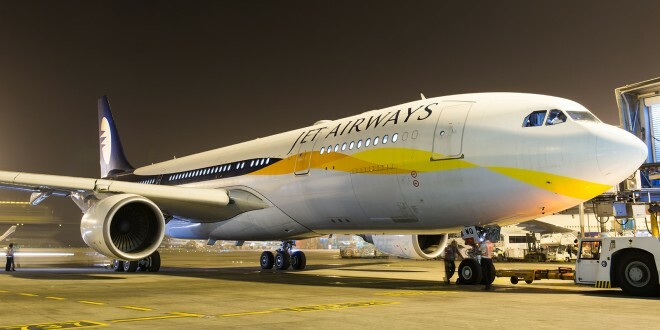 The salvage of Jet Airways demands aggressive cost reduction and this requires any investor to take hard decisions quickly, without being second-guessed. Yet, the current structure does not give the investor complete control with only 31.2% of the shares being offered and the balance pending approval from the Reserve Bank of India (RBI), where debt will be converted into equity and then the equity will be offered for sale. The likelihood of being second-guessed or debating endlessly or seeking multiple approvals for execution of decisions deter investors and thus the wait. While the document states the settlement of obligations in relation to existing facilities, any investor will have to take into account current structures of liabilities and which ones have precedence. The existing debt capacity is limited at best and several estimates indicate that an infusion of Rs 1500 crores which was initially considered is inadequate at this stage. Add to that the Boeing 737 MAX groundings (which would be cash generative for the airline), the “temporary” re-allocation of slots (which have a cash-flow impact) and staff attrition, and one is staring at an immense turnaround challenge. 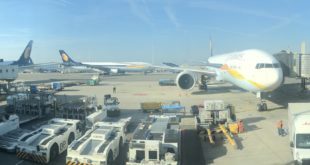 In summary, the Jet Airways situation continues to be one where there are many headwinds and almost no tailwind. As its minimal fleet of 26 aircraft continues to fly, one hopes that a strong bidder emerges. But for that to happen clarity on the price-value equation, control and costs are critical. Next Boeing orders and deliveries – March 2019. MAX deliveries fall.